“It is up to legislators to take responsibility in providing answers to the question of appropriate regulation. The future of our innovative companies is at stake,” believes Jean Michel Mis, Member of Parliament of the French National Assembly. Jean Michel Mis is a member of French Parliament, representing the party of France's President Emmanuel Macron. 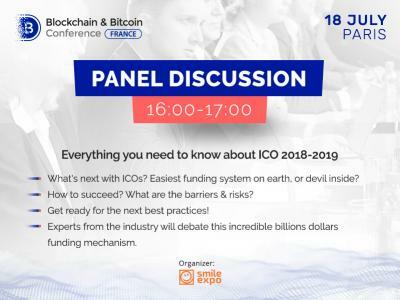 On July 18, he will be a speaker at the Blockchain & Bitcoin Conference France. In the interview, Jean Michel Mis discussed G20 Argentina summit and provided a clear explanation of the French crypto assets annual tax reduction. 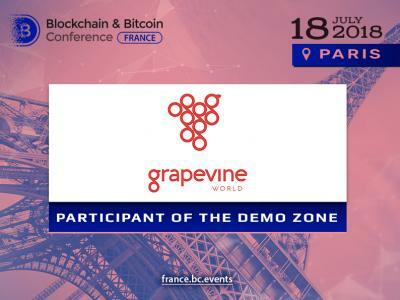 The expert also compared French blockchain industry with crypto spheres in other countries, discussed cryptocurrency derivatives and analyzed blockchain prospects. BCF: In March, the G20 Argentina summit brought together ministers and central banks’ CEOs. It was the first time when the agenda included fintech regulation and crypto market control issues, with representatives of France and Germany insisting on it. Despite this fact, the countries assumed a conservative position regarding the cryptocurrency industry. What do you think, why is this so? JMM: States and financial authorities must take responsibility for new technologies. It is in this sense that France and Germany wished to include the question of the regulation of Bitcoin, in particular, as Bruno Le Maire announced in December 2017. However, while the G20 members stated that "Crypto-assets do not have the key attributes of sovereign currencies," they acknowledged for the first time "that technological innovation, including that of crypto-assets, has the potential to improve the efficiency and inclusivity of the financial system and the economy in general". This is a first step. Indeed, repression no longer seems to be the order of the day. Regulation is expected by everyone. 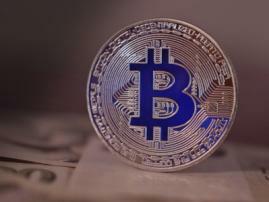 Even if the crypto market, according to the FSB, "does not present any risk for current global financial stability," given the modest size of asset capitalization compared to the world economy, the fact remains that legal and fiscal security must be ensured for all players in this sector (investors, individuals, businesses). France will host the next G7 in 2019, so, perhaps we have an opportunity to make our voices heard. In the meantime, it is up to legislators to take responsibility in providing answers to the question of appropriate regulation. The future of our innovative companies is at stake! Thus, at a time when all countries are wondering about the best way to respond to the challenges posed by crypto-assets, France must find an original way, which preserves both the benefits of technological innovation and protects the integrity of the markets. BCF: In April, the State Council of France informed the country’s authorities that revenue from digital currency sales was similar to capital inflow from movable property. For cryptocurrency investors, it means that the annual tax on crypto assets can be reduced from 45% to 19%. How successful is this step, in your opinion? JMM: This is a crucial question if we want to keep our project leaders, our investors and our talents in France. Moreover, this issue is taken up in the Landau report, commissioned by Bruno Le Maire, and published on July 4, stressing the importance of removing the uncertainties that weigh on these issues. The development of these activities is at stake. It essentially reiterates the decision of the Council of State of April 26, 2018, which decided to link the tax regime of bitcoin and by extension cryptocurrencies with reservations however: "some circumstances of the divestiture transaction may imply that the cryptocurrencies are subject to provisions relating to other categories of income." Indeed, the Council of State introduced a notion of usual activity in its assessment. But nothing currently defines the concept of usual or regular within the context of tax administration. Another legal uncertainty! It is therefore to be hoped that this report will serve as a basis for discussion of these tax system issues as soon as possible. This is a discussion that we will have to conduct as part of the debates in the National Assembly relating to the 2019 Finance Bill. BCF: How can you assess the regulation of French blockchain industry in comparison with other countries in general? JMM: The arrival of the Blockchain as a new data exchange protocol is comparable to the arrival of the TCPIP protocol to the creation of the Internet. Today this technology generates the same number of users and amounts invested as the Internet in 1995. Now we must invent a flexible and evolving framework, adapted to a sector where technological evolutions are very fast-growing. But also adaptable at European level. In this area, however, there are great disparities from one country to another. Take, for example, the question of taxation, the main blocking point for the development of crypto-assets in France. While capital gains realized by private individuals may be exempted, under certain conditions, in Germany, Belgium and Switzerland, while the United Kingdom applies a favorable capital tax system, taxation in France can reach up to 66% of capital gains realized. Then take the example of the supervision of mining activities. In France, mining activities are currently taxable as non-commercial profits. This taxation raises several difficulties: it exists even when the mined crypto-asset has not been sold. Nor does it create distinctions between "professional" miners who have acquired specific equipment and private individuals who would, for example, carry out "staking" (ie virtual mining) without have invested in dedicated equipment and for small amounts. A favorable tax regime for mining would preserve French or even European sovereignty over the blockchain sector. Miners would thus choose to locate in France and the role of Europe would be reinforced in the development of the crypto-asset mining industry and the evolution of blockchain projects. If, on the other hand, one refers to blockchain as a register, the initiatives are at an equivalent stage at international level because France is one of the first countries to experiment with these blockchain proof problems. Of course, if we compare ourselves with developments in Estonia, we are real latecomers! BCF: Why do states aim to control the ICO sector and tokens but avoid legal evaluations of cryptocurrencies? JMM: I do not necessarily share your analysis on this issue. We need to jointly conduct assessments and consider regulations on both cryptocurrency and fundraising (ICO). The vast majority of players in this sector want to ensure sustainable development of their activities, create wealth, jobs, and allow France to regain its place! We must therefore provide them with an favorable environment for the development of their activities and encourage them to invest. Direct and restrictive regulation is not desirable. We need to provide answers in terms of taxation and accounting to secure businesses, while encouraging technological innovation. BCF: What is your attitude towards cryptocurrency derivatives? Does their emergence equal the growing-up of the cryptocurrency market? JMM: Platforms that offer cash-settled cryptocurrency derivatives must comply with the regulations applicable to securities, financial instruments, in particular the rules on approval, good conduct and the reporting of transactions to a central repository under the European Market Infrastructure Regulation (EMIR). Cryptocurrencies are new monetary items. Like any novelty, they arouse curiosity and trigger innovative projects. However, outstanding cryptocurrencies are low with only 1.5% of the market capitalization. In addition, they are slow and consume large amounts of energy. The holding of cryptocurrencies is very concentrated, the number of points of sale is limited, transactions remain very weak so far. We do not have enough hindsight on this issue yet. This technology is still evolving. And is not yet completely out of the techno sandbox. BCF: In your opinion, what token sale regulation experience would be the most appropriate for France? JMM: ICOs have hitherto escaped a clear legal framework, as under both French and European law, the "tokens" may be legally qualified in different ways according to their specific characteristics. A qualification is further complicated by their ability to change character after their issue. It is therefore important to reflect carefully on regulations that remove legal insecurities. In this respect, Article 26 of the PACTE Act is a first response. It creates a French system of token offers by issuing visas to players who wish to issue tokens for the French market. With this system, Autorité des Marchés Financiers can issue a visa to stakeholders who respect the constraints imposed, thus enabling investors to distinguish legitimate actors and encouraging them to carry out their projects in France. It should be possible to apply for the "ICO visa" by having only a link in France, to allow France to become one of the main markets for ICOs and compete with Switzerland or Malta. BCF: What prospects for the global blockchain development do you see? JMM: It is still a bit premature to answer this question. The potential is immense. The projects are numerous but sometimes a little too crazy. Blockchain protocols are not an answer to all our problems. They are probably a response to a need for digital trust. Indeed, the blockchain can allow the establishment of such confidence, including the traceability and certification that this technology guarantees. Smart contracts as a type of use of the blockchain are undoubtedly very promising. It would certainly be wise for the state and local authorities to seize this technology: the blockchain could participate in the construction of a new form of administration. Indeed, the "registrar modality" of the blockchain could be used for the registration of civil procedures, the land registry. 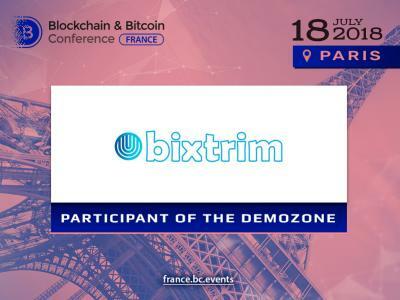 BCF: Tell us about your presentation at Blockchain & Bitcoin Conference France, please. JMM: Given the many concrete applications of blockchain that are emerging in France and worldwide, it is essential that we, as legislators, take on the issues, risks and preoccupations intrinsically linked to the advent of this new technology. So, I shall deal with three points in my speech. It is up to politicians to change our discourse and to better understand the issues. As legislators with regulatory powers, we must provide answers. Who could make long term plans in a country where from one day to the next one's activity could be declared illegal? I will end with a remark on the sovereignty issues related to the use of this technology. 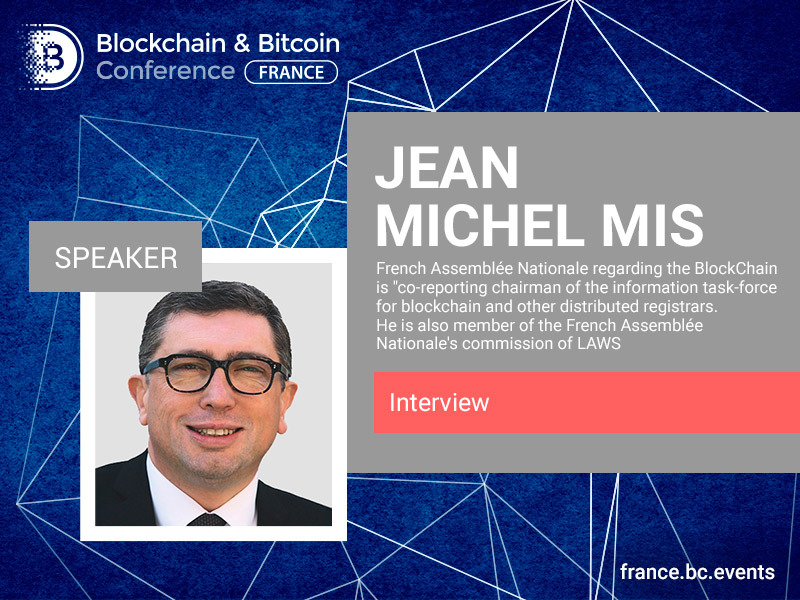 Meet with Jean Michel Mis at the conference and discover the state’s viewpoint on crypto!